Incomplete really speaks to the idea that I, we, us, don’t really have it all together like we think we do at times. I mean, really, we are often so short from where we need to be; from where God wants us that we can feel the dragging of lack in our spirits. If we were really honest with ourselves we would see within us deficit upon deficit without any real way of adding up to that holy mark of perfection our soul longs for. If left to ourselves and our own ingenuity we would find that we are an incomplete mess. But, thanks be to God that our completeness is not dependent upon us. Rather, it is in Christ alone where we find everything that makes us 100% whole in Him. In our relationship with Jesus as our Savior, there is no lack. 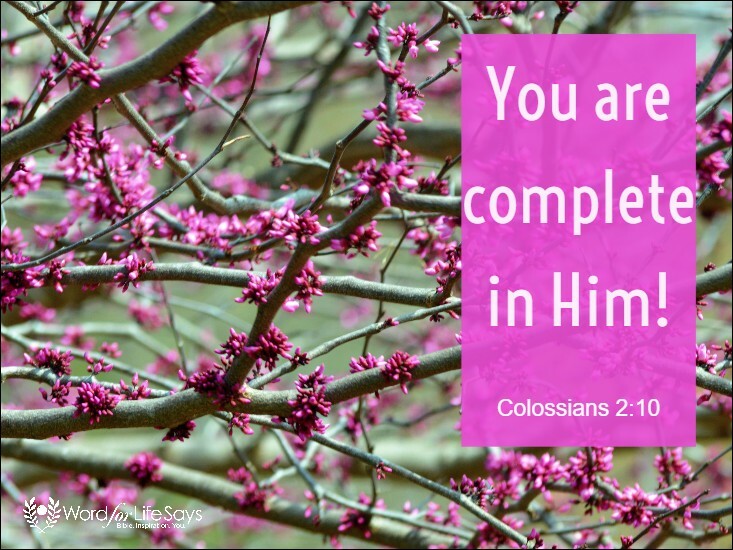 The Bible assures us, “You are complete in Him, who is the head of all principality and power,” (Colossians 2:10, NKJV). On the cross, Jesus secured everything we need to have a full relationship with God Almighty, leaving nothing out. Jesus Christ really does become more than enough for believers to rest in His salvation. Through Calvary’s sacrifice, Jesus turned our incomplete mess into something completely beautiful.